Dawn Redwood – Urban Forest Nursery Inc. So, after all this effort to find short and skinny trees for the urban spaces, larger canopy cover is the new buzz. 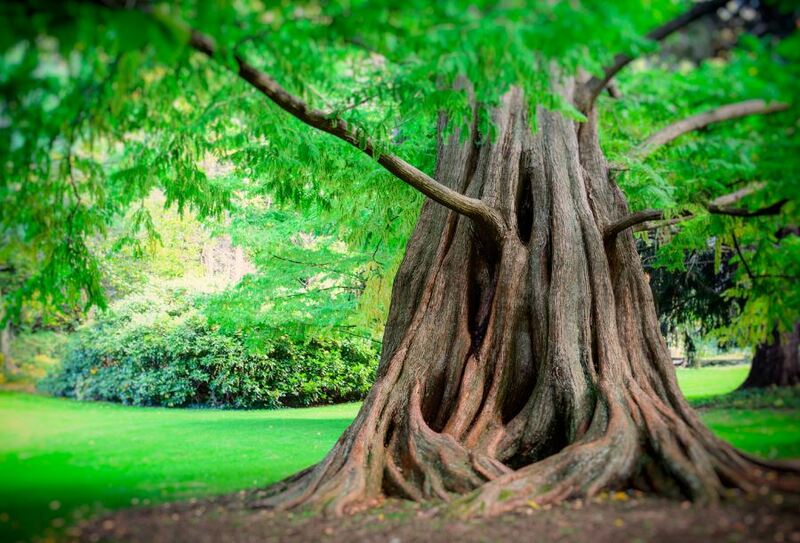 Ok, then, let’s consider one of Europe’s favorite large trees, the Dawn Redwood, with my favorite scientific name, Metasequoia glytostroboides. This tree can grow to more than 200 feet, although, I suspect most urban spaces would limit its potential. Once thought to be extinct but found in 1941 in China, this tree is now growing all over the world, and apparently doing rather well. Saying this tree has a long history would be an understatement given that fossils of it were found from the Mesozoic Era, over 65 million years ago. So it is safe to say, this tree has a history. 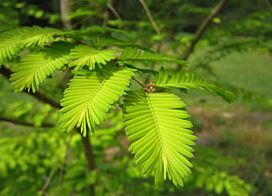 Somewhat unique is that the Dawn Redwood is a deciduous conifer. Many of us in the industry have stories of homeowners calling in late fall to remove their ‘dead’ conifer, oops. This is a fast growing tree and tolerates both wet and dry locations. The form is strongly pyramidal with a single straight trunk. Over time the base gets wide, gnarly, and more interesting. Leaves, or feathery ‘needles’, are opposite in arrangement, linear, flattened, straight or slightly curved. A photo or the real thing in your hand is best for identification. The summer foliage is a soft light green, then turning a light reddish brown in the fall, before dropping to the soil around it. Michael A. Dirr reports no serious pest problem although they apparently have been affected by canker infestations and the Japanese Beetle. Early freezes can do some damage but they are said to recover well. I recall an older ISA Tree Fund video describing the Dawn Redwood as a very popular urban tree in Europe. 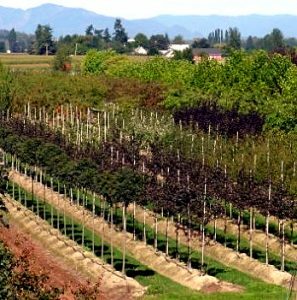 More locally, I know of a significant street tree planting in Snoqualmie Ridge. They appear to be growing well despite being planted in relative poor and compacted soils, but time will tell. Arthur Lee Jacobson, in his ‘Trees of Seattle’ book, reports that they are found all over Seattle with some fairly large ones existing, although only planted since the late 1940’s. They are especially appropriate for parks, golf courses, cemeteries, boulevards and other large open spaces. The Dawn Redwood transplants very well and does not appear to have the aggressive root system found on the Giant Sequoia. There are several cultivars with possibly the ‘National’ and ‘Sheridan Spire’, the most popular for urban tree plantings. I always appreciate hearing your thoughts and knowledge of this and other tree varieties if you have them.